After the death of his wife, insurance examiner Gang-Soo (Kim Nam-Gil) fell into a deep state of depression. He has now gone back to work. 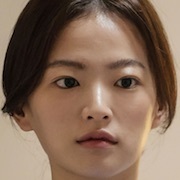 Gang-Soo takes a case involving Mi-So (Chun Woo-Hee) who is now in a vegetative state. To investigate her case, he goes to see her at the hospital. There, he meets a woman who introduces herself as Mi-So. He discovers that he is the only one who can see her. Mi-So woke up after she got in a car accident. She sees herself lying in a hospital bed and realizes that she is now a spirit. Mi-So meets insurance examiner Gang-Soo and knows that he is the only one who can see her. She asks him to grant her a wish. Filming began April 12, 2016 and finished July 8, 2016. Early Korean working title was "My Angel." John Nov 17 2017 8:25 am The ending should've been better. :( May 19 2017 6:45 am I cried... beautiful, touching movie. sss May 14 2017 12:13 am I think Bang Sung Joon appear as Sun Hwa brother? Hahaha. tofu May 01 2017 10:56 pm Good but it's not a romantic movie. Also not really happy with the ending. If the movie is to continue after the ending, will he be a wanted man for killing after becoming crazy from grieving for his wife? shinheenim Apr 26 2017 11:07 am great movie !! not a great end though !!! wowo Apr 23 2017 9:05 am This movie was great, but i don't like with the ending story ? 로세 Apr 07 2017 5:19 pm OMG almost seems like the book "If only it were true"! Loved that book and cannot wait to see this! Hue Mar 10 2017 2:57 am It's so like 'just like heaven'. Just hope the girl isn't dead at the end! Latha Feb 27 2016 4:30 pm Hi,OPPA" I'm good fan of yours.to tel the truth,"I'like Korean drama and I'wish you will do more better in 2016.;)LOVE YOU"N"FIGHT,FIGHT. SyahDin Feb 26 2016 5:44 am i'm glad he's doing another movie and seriously i'm missing him in a drama too.